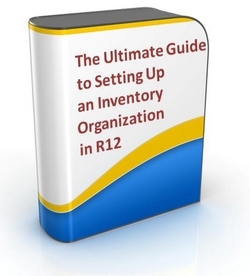 Zoom From Basic to Expert Level, in less than a Day, with "The Ultimate Guide to Setting Up an Inventory Organization in R12"! The Ultimate Guide to Setting Up an Inventory Organization in R12 is the Ultimate Skills Booster Package, that is so complete, you will not need any other material to configure an Inventory Organization in a Live environment! 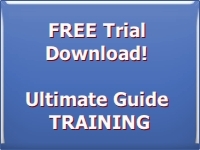 The Ultimate Guide is skillfully designed to take YOUR skills from Foundation to Expert level in less than a Day, giving you the in-depth knowledge and confidence of an experienced professional. "Are you ready to lead a Web Conference or a Workshop Test Pilot, the VERY Next Day of your training?" Picture a conventional training session! The training, we all know and have taken at some point in our careers. You get to see a lot of PowerPoint slides! Lots of bullet points, some screenshots. And if you are lucky, a few, very basic, hands-on exercises … maybe! What is Missing in Conventional Training? Can I open Oracle Applications and using web conferencing, walk a client through what I have learned, right NOW? And answer any questions that come along the way? Can I drop into a client site and begin configuring Oracle Applications for the next day’s Workshop Test Pilot? With a conventional training session, we all need follow-up time. Once out of the training room, we need to look for an instance where we can practise. Some more self-study, additional research, some more practice, before we can go to the front lines. How is the Skills Booster Pack Different? Took you step by step through a highly interactive, guided session on an Applications simulation. This simulated environment gives you a real feel of configuring Oracle Applications. Guided you through a simulated test on the same Applications environment and gave you a self evaluation? ... ALL in the span of a Day! The Skills Booster Pack applies techniques that simulate an on-the-field exercise. It is almost like you are working on a client’s project. It uses techniques that really work! You do not have to re-invent the wheel and go through the same learning curve that we did to figure out what really works. We have already done it for you! Our Skills Booster Pack will make YOU, ready for action! The skill you develop in working through our combo packs becomes deployable in the real world, the moment you pass our assessment session. You could then demo the process, all by yourself, to peers and colleagues. Or, guide a client on implementing the solution. You earn the reputation of an expert, by working not hard, but smart. We have already done it for you. So, you achieve high credibility with your customers and come to be respected for your knowledge and professionalism. So, your busy life becomes a little easier and your work becomes so much more enjoyable! As you spend less time “getting there”, you have more time for your family and friends! So, you have more time left for building more skills. So your work in in the field of Oracle Applications becomes more enjoyable and fulfilling. "How Good is the Skills Booster Pack for an Interview to a Job or a Project?" Ok, what about a technical job interview or a technical interview for a project? Well, you can search the Internet and come up with a list of interview questions on Oracle Inventory. Or, you could read the user manuals. Would it not be ideal if, what you know came from hands-on-practice, coupled with in-depth training? That way, you could truthfully and confidently answer almost any question thrown at you! In short, you could speak like a professional! But, such knowledge comes from years of work on the field! You have a day to prepare, maybe two! That is where our power-packed Skills Booster Pack delivers the punch! It proves itself, when you are most hard-pressed for time. Want a Free TRIAL? Sure, Why NOT! 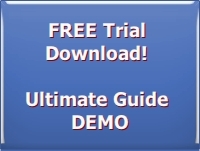 We are so confident that you will like this product, that we are happy to offer you these free to download Trial versions. The Trail versions have the FULL functionality of the DEMO and the TRAINING modules. Can I carry the Skills Booster Packs with me, wherever I go? The Skills Booster Packs come in modular formats in Windows EXE and Flash (SWF) files. So, NO need to be hooked to a server just to access these powerful tools. You can carry them with you in a flash drive, or keep them in your laptop. Do Skills Booster Files Run on Mac OS? iSwiff is a widely used utility for running Flash (SWF) files on Mac OS. Apple has also launched SWF & FLV Player 3.8 to run Flash Files on its machines. WineBottler is a popular utility to run Windows EXE files on Mac OS. The rewards are visibly potent! When you know your stuff, it shows! You reflect competence and inspire confidence in your client and your employer! You get noticed in the crowd! But, the greatest reward of all is the quiet confidence that grows in you. You know you can grasp new stuff, and put to use your knowledge, much faster than you ever thought was possible! From here, you career can only go in one direction… UP! And so too, the quality of your life! P.S. Next, let's see what our visitors to our site have to say!